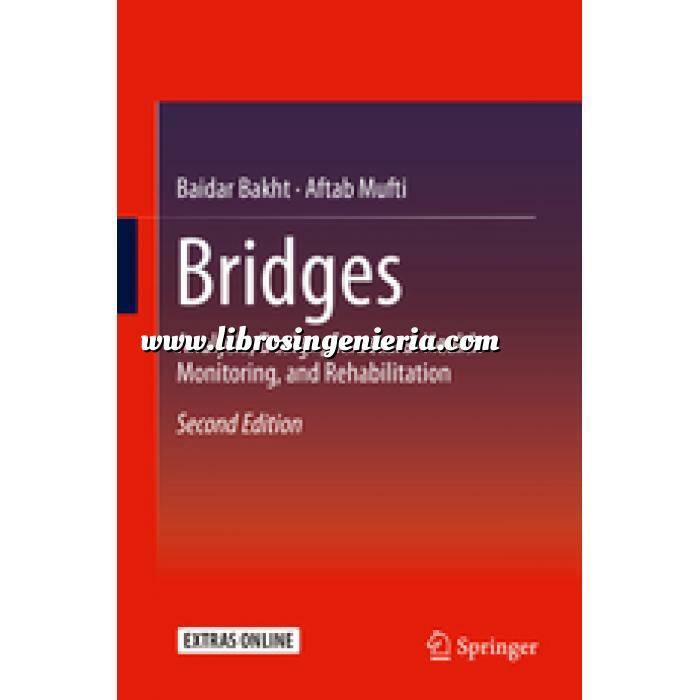 This book offers a valuable guide for practicing bridge engineers and graduate students in structural engineering; its main purpose is to present the latest concepts in bridge engineering in fairly easy-to-follow terms. · Analysing slab-on-girder bridges for live load distribution. · Analysing slab and other solid bridge components for live load distribution. · Analysing and designing concrete deck slab overhangs of girder bridges under vehicular loads. · Determining the failure loads of concrete deck slabs of girder bridges under concentrated wheel loads. In addition, the book includes extensive chapters dealing with the design of wood bridges and soil-steel bridges. Further, a unique chapter on structural health monitoring (SHM) will help bridge engineers determine the actual load carrying capacities of bridges, as opposed to their perceived analytical capacities. The chapter addressing structures made with fibre-reinforced polymers will allow engineers to design highly durable, economical and sustainable structures. This chapter also provides guidance on rehabilitating deteriorated structures with these new materials. The book also deals with the philosophy of bridge design without resorting to complex equations. 4.2 Mechanics of Arching Action . 4.6 Bridges with Externally Restrained Deck Slabs . 5.1.3 Negative Moments in Internal Panel . 5.2.2 Proposed Method of Analysis for Slabs of Infinite Length . 7.7.4 Differences in Radii of Curvature and Plate Thickness . 8.3.1 FRC with Low Modulus Fibres . 8.4 Earlier Case Histories . 9.2.1 Strengthening for Flexural Components . 11.2.5 A Variation of the Reaction Force Method . 11.3.1 Asymmetry Coefficient Method . 11.5.1 The Asymmetry Method .